Today we’re going to look at Excess Returns – a 2014 book that looks at how the most famous investors in history have managed to beat the market. This is a slightly different article to the rest in our Guru series. The other books we have been analysing all use the “one investor per chapter” design – they either consist of interviews with investing greats, or they have articles from individual investors where they discuss their best ideas. Excess Returns is instead “a comparative study of the methods of the world’s greatest investors”. Its author is Frederik Vanhaverbeke. 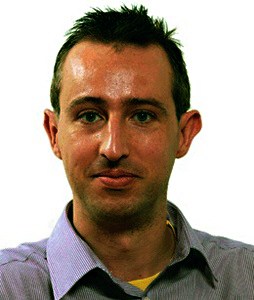 Frederik is an electrical engineer who studied investment for a decade before becoming a bond portfolio manager at KBC Asset Management in Belgium. In his personal stock portfolio he has beaten the market by a substantial margin over the past ten years. Excess Returns is a dense book in comparison to the interviews we have looked so far in the Guru series. It will probably take a dozen or so articles to get through it. Let’s hope that the journey is worthwhile. Few people can beat the market. Academics believe that markets are so efficient they can only be beaten by luck. The Efficient Market Hypothesis (EMH) says that price anomalies are immediately eliminated by all the smart people in the market looking for bargains. 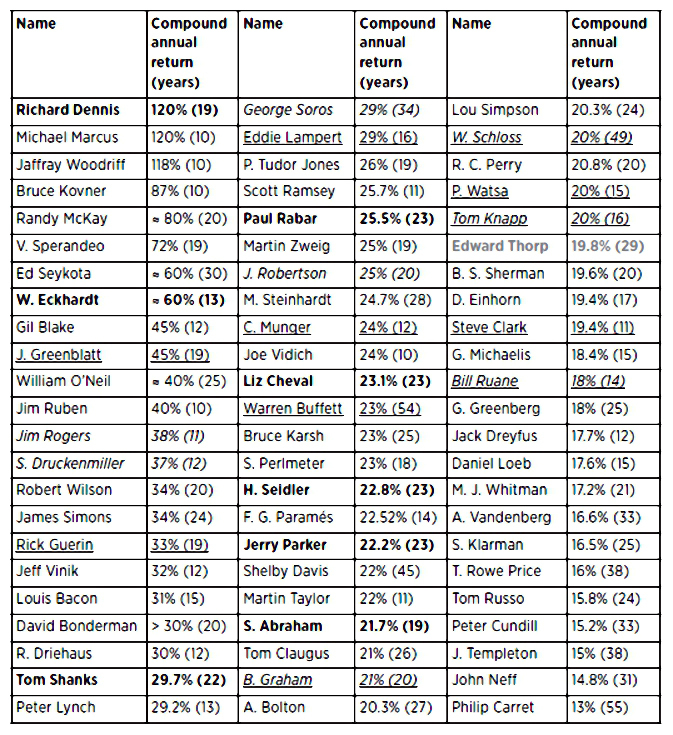 The table shows the annual compound returns of a large number of famous investors, all of whom have a record of at least 10 years of out-performance. EMH fans think these returns are just statistical outliers – with enough traders, some of them have to get lucky. But Frederik has found that these are not the causes. 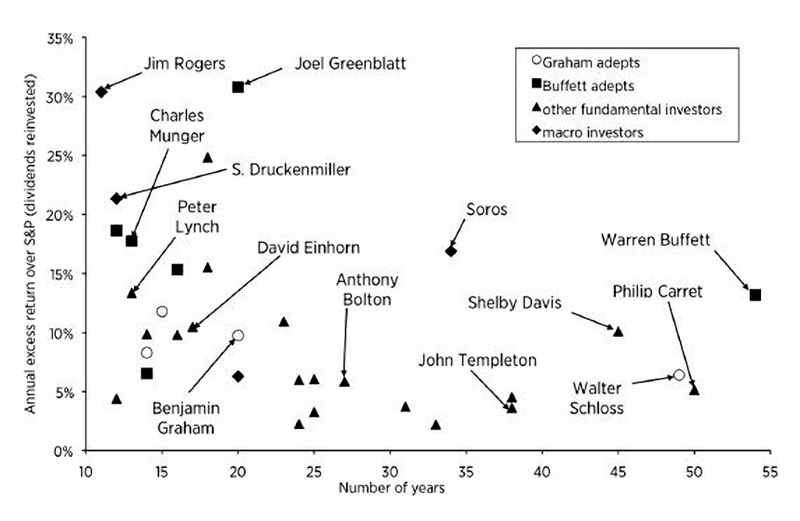 Most high achievers used diversified portfolios with significant turnover across periods ranging from 10 to almost 60 years. Some were leveraged, many were not. Even those who used leverage were successful through hundreds or thousands of trades. Some were consistently successful with very low volatility. Ed Thorp had positive returns in 227 of the 230 months that he ran his fund (1969 to 1988). Frederik calculates the probability of this happening by chance to be so unlikely that it should be discarded as an explanation. Many beat the market using a few common approaches – momentum trading, or Graham’s quantitative value investing (highlighted in underlining and italics – those merely underlined are Buffett followers). The names in bold in the table are the Turtle Traders, trained in momentum trading by Richard Dennis and William Eckhardt, who continued to be very successful when they traded on their own behalf. A similar bunch of traders are the “Tiger Cubs” who originally worked in Julian Robertson’s Tiger Fund, but remained successful after he closed the fund. Frederik finds it interesting that Soros was able to replace Jim Rogers as his partner with the equally successful Stanley Druckenmiller. He also observes that almost all of the outperformers refer to the same psychological attitudes and habits as being crucial to their success. 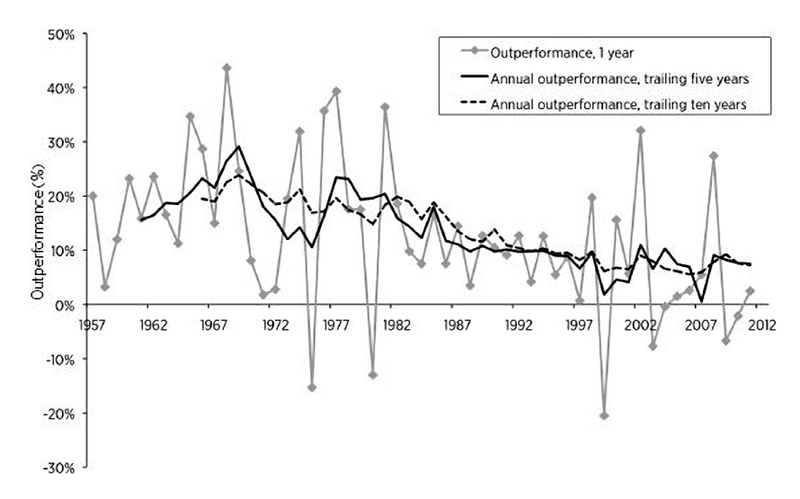 As might be expected, outperformance tends to decrease over the long run. Despite this, Buffett has beaten the market by 13% pa over 54 years. Philip Carret, a good friend of Buffett’s also beat the S&P (by 5% pa) over 50 years, including the Depression. Walter Schloss, one-time partner of Ben Graham, also had a 49-year track record. Buffett’s record is particularly impressive since the outperformance continued even as he amassed assets in excess of $100 billion. Almost all of the people who beat the market have a specific strategy and philosophy. They have a view on how inefficiencies are created in the market and how they can be exploited. These philosophies fall into a number of “schools”, but Frederik’s book concentrates on the fundamental Investors – those from the quantitative (Ben Graham) school and the quantitative-qualitative (Warren Buffet) school. From this point, Investors with a capital I will refer to these two groups combined. 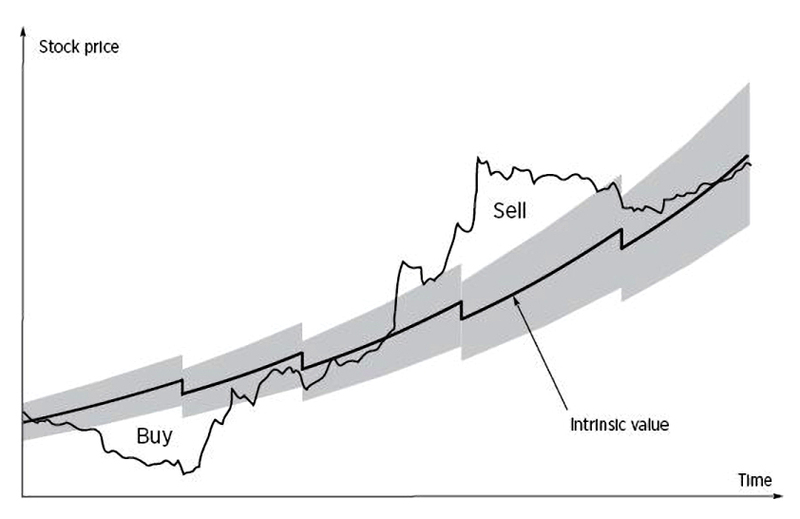 The basic premise is that stock price fluctuations are unpredictable in the short-term, and over the long run, they fluctuate around “fair value”, due to emotions, herding behaviour, imbalances in attention paid to different stocks etc. The fair value (FF) is known as the intrinsic value. This value will be specific to the investor, and depends on the investor’s desired return (α % pa) based on a personal risk / reward trade-off. The investment opportunity is that in the long-term, the share price should revert to the fair value (and indeed, probably over-shoot it). So the basic process is to buy stocks that are trading below FF and wait for them to trade at or above FF (when they can be sold). This is simple enough, but the real problem is in working out the value of FF. Frederik looks at two formulae for working out FF. The first is a model looking at the returns on a stock until it stops trading on the exchange (due to acquisition, bankruptcy, going-private etc). Dq is the dividend per share in year q. This model has no practical use as L and Pfin cannot be predicted. The more practical model is the discounted cash flow (DCF) model. This discounts back to the present the future cash flows generated by the business. C is the cash per share (cash + cash equivalents). EMH fans believe that a stock price always reflects all public knowledge about the company – the stock price is the market’s best estimate of the FF-DCF. Investors point out that many market participants pay no attention to fair value. Many people trade on momentum, on rumours, or by trying to anticipate the moves of other market players. Time-frames for making money also vary widely. Human psychology also plays a big part in markets – most investors can’t remain rational and detached. Investors find it hard to believe that a small minority of rational Investors can negate the impact of the majority driven by emotions. High emotions and difficult problems loom large in the stock market, and there are a number of systematic psychological errors, known as cognitive biases. Cognitive biases undoubtedly cause a lot of irrational behaviour in the stock market. Many of the errors are committed by individuals and occur randomly. It’s likely that these errors could be eliminated through arbitrage by rational investors. Other biases lead to systematic errors – they push all investors in the same direction at roughly the same time. Extrapolation and herding can help to extend trends in either direction, and emotional responses to an individual stock (popularity, herding, thirst for excitement) can produce price inefficiencies. 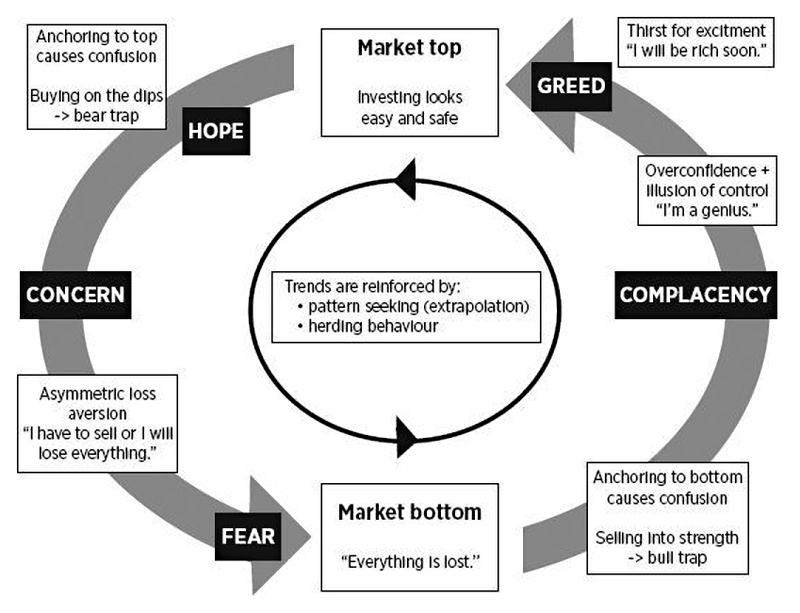 Both individual stocks and the entire market follow a sentiment cycle made up of a boom (bull) phase of optimism, greed, and complacency and a bust (bear) phase of pessimism, fear, disinterest and risk aversion. In bear markets, loss aversion contributes to waves of panicky selling. The overreaction bias and reduced risk tolerance then lead to capitulation. Herding: people tend to follow the crowd up and down; there is consensus about market direction, and new recruits join in bull markets. Anchoring: investors see previous price levels as references for cheap or expensive, and so “buy on the dips” during bull retracements; similarly recoveries during bear markets will be sold. Anchoring also works across sectors, so one stock can drag an entire sector up or down (and one sector can drag the market). Confirmation bias also reinforces the trend. Thirst for excitement is a factor in bull markets, as people invest more and more of their savings. Value investing is all about popularity. Ben Graham realised that unpopular stocks will offer good returns, whereas glamour stocks will not. Profits don’t seem to matter much in the long run. Stocks with low Price-to-Book Values (PBs) often outperform despite deteriorating profitability. Popular stocks with large profits frequently underperform. Loss aversion and over-reaction: unpopular stocks are beaten down too far by panic selling caused after disappointing results. Pattern seeking and recency: people expect that stocks that have performed well will stay good and vice versa. They give too much weight to the past. People extrapolate results so that the market price of poorly performing companies tends to discount a bleak future. Companies with strong historic performance are expected to continue in this way. There’s little room for positive surprises with stocks that are already popular, but lots with those that are unpopular. There is also less interest in – and coverage of – stocks that have done badly in the past. Herding: it’s hard to invest in a stock that the crowd is ignoring. Surely the market darlings are the place to be. Those who feel that the crowd knows best will dump unpopular stocks, further depressing their price. Distorted risk perception: unpopular stocks are believed to be risky while hot stocks feel safe (even if the opposite is really the case). Thirst for excitement: thrill-seekers chase hot stocks and avoid stinkers. This leads to a large number of systematic psychological errors, known as cognitive biases. The next step will be to look at some of the methods used by investors to exploit these situations, and to beat the market. Thanks Mike, excellent overview and super-detailed. I skimmed it to be honest, but even a skim was enough to be reminded of the many reasons why market value does not equal intrinsic value. Thanks John. Yes, I’m afraid I got carried away – I think it’s a bit too detailed. I’ll revisit when I have time and thin it down or split it into two posts. I think I was in too much of a rush to get past the groundwork, and into the meat of how the greats beat the market.